After you’ve voted, you will receive an email on 7/12 with instructions to redeem the offer. 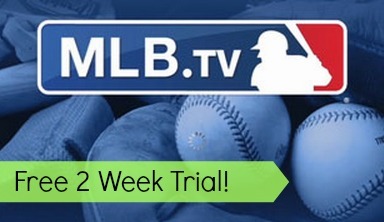 MLB TV carries all out of market games and you can watch on your TV, iPad, Xbox 360, and more. There is a catch… you have to vote TODAY! Current MLB TV subscribers will get 15% off to MLB.com Shop. I’m not sure if you’ll automatically start paying for the subscription at the end of the two weeks, but make sure you cancel if you don’t want to continue.